After the rains had abated and a bridge had been constructed to bring building supplies in over the river, the work got underway in earnest. 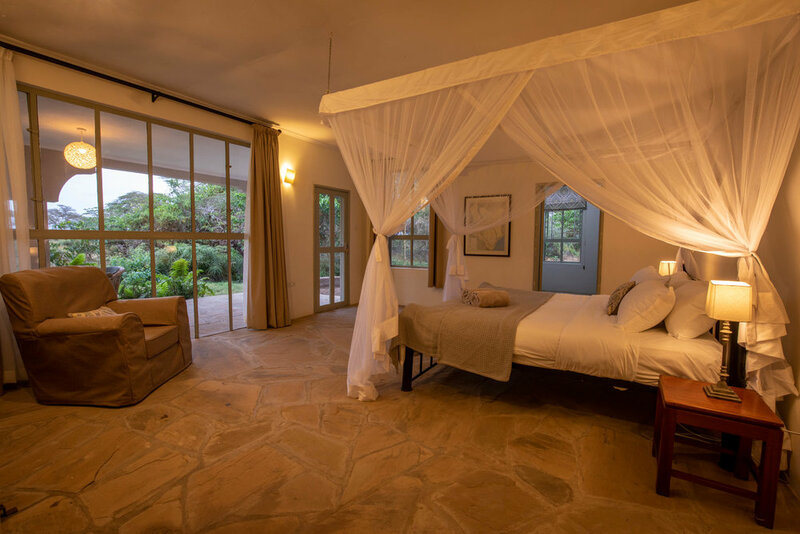 The floor tiles were torn up and replaced with mazeera stone, the tinted glass pulled out and replaced with clear, windows knocked through and bathrooms converted and constructed. Slowly, from amongst the rubble, a beautiful space was emerging. Light sage doors and windows, silver bird walls and mandarin dusk grey bathrooms totally changed the whole feel of the house from dark, red and imposing to light, soft and welcoming. And so the house came together as the furnishings were put in place, pictures went up on the walls and the final touches were made. The house is designed to be a peaceful home away from home. 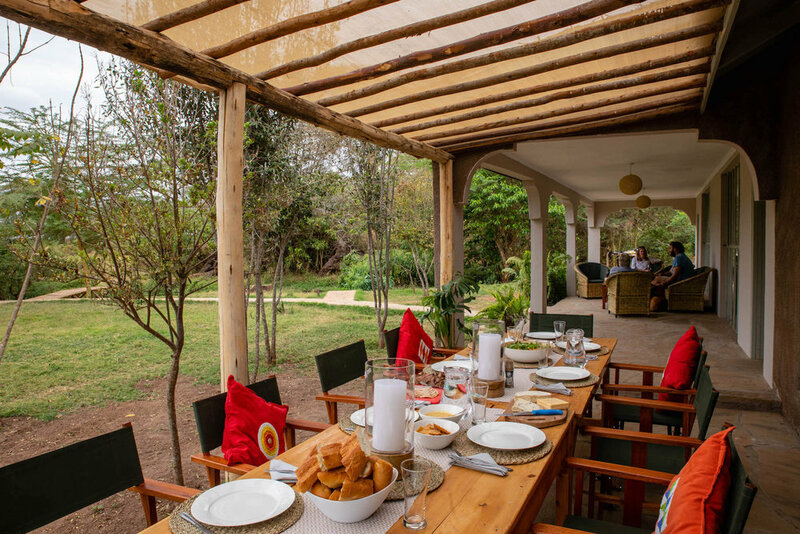 Soft cotton linens, indoor and outdoor dining locations, and the most beautiful wildlife area extending from the garden and beyond. The house is now open for bookings. It is self-catering and self-drive with a fully equipped kitchen, BBQ, water filter and fridge, and there is a house manager on site to help with the washing up and housekeeping.